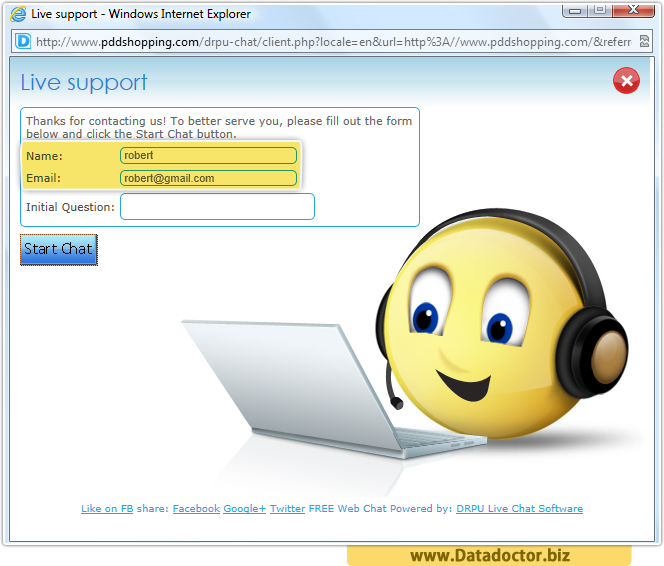 Live Chat Software provides live help and support with easy web chat interaction between customer support executives and website visitors in real time. Advance technology enabled help desk utility facilitates web site visitors to immediately contact with web support operators for immediate resolving their queries in real time. 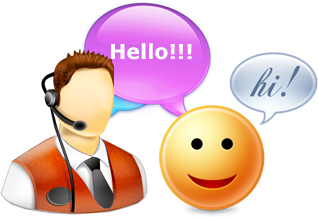 Live chat utility provides quickly response, online support and information to website visitors and customers in minimal time. Instant interaction through real-time customer care results in increased online sales and business productivity with decrease in support expenses (telephonic support). Customer support software is highly useful in online business such as travel, real estate, auto sales, web hosting, education, insurance, finance etc. Fill the form with your name and address and click on Start Chat button to continue. 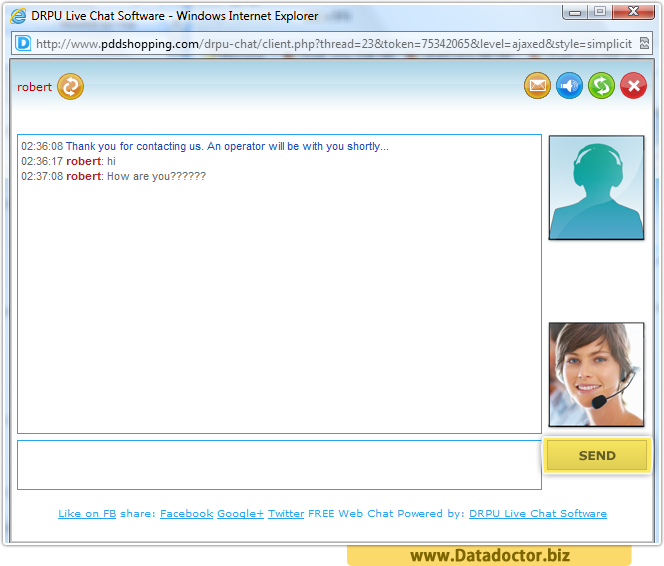 Here your chat window shows the online user status. 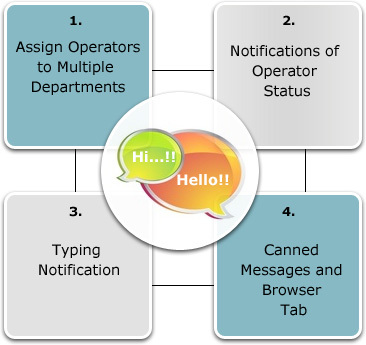 You can get typing notification, notification of operator status etc. during chat.